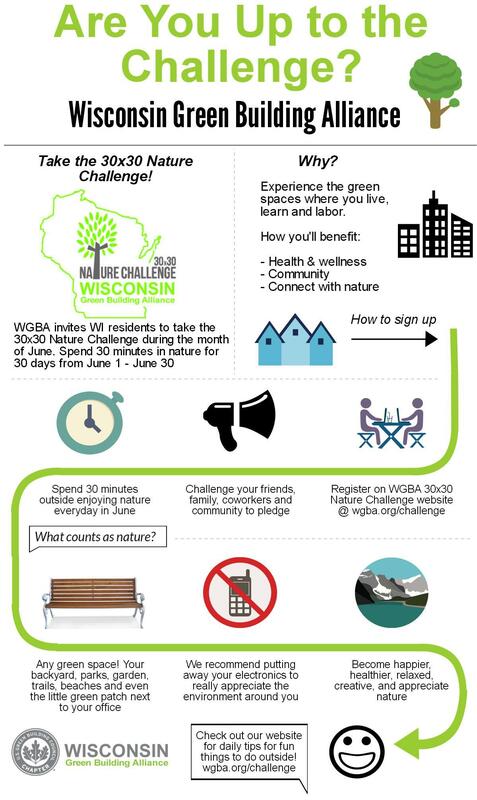 Wisconsin Green Building Alliance (WGBA) invites WI residents to take the 30×30 Nature Challenge during the month of June. 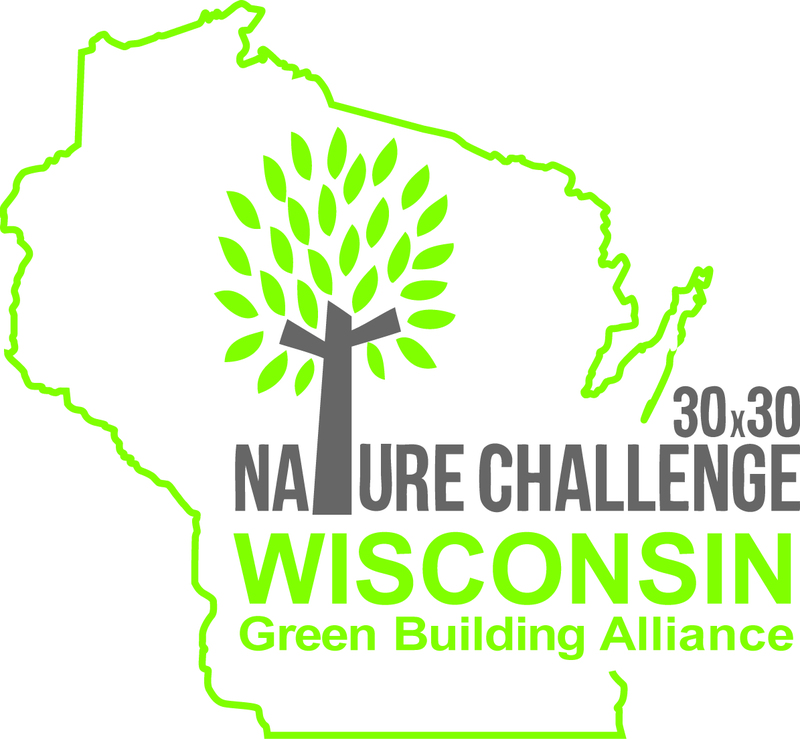 Take the 30×30 Nature Challenge to reconnect with nature by pend 30 minutes in nature for 30 days this June! Gain greater understanding of your interaction with nature and the built environment! Where we live, learn, and labor matters, and how we decide to create those spaces should be sustainable and resilient. Make sure to check out the calendar of upcoming events throughout the month of June.